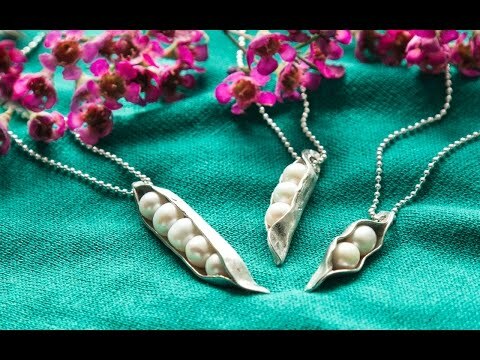 A beautiful keepsake for moms and grandmothers alike. 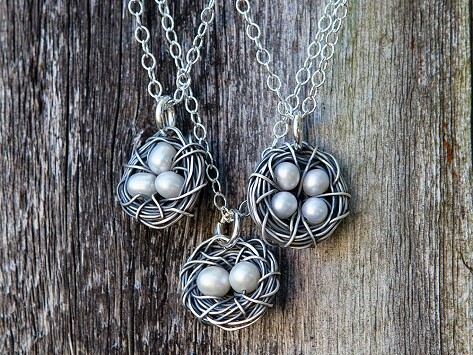 Made of antiqued silver wire, each handcrafted nest is filled with freshwater pearls—one for each child in the wearer’s heart—and set on a sterling silver ball chain. Customize your design to match the number of children in the family. My gift was purchase over 3 years ago. I must admit this is the best gift ever. I have four children with my spouse and 2 that are no longer with us. A friend gave us this pendent with the 4 eggs and 2 stamp doves, like medallions, of the same metal. It has been over 3 years since the gift and i still wear it. Well-crafted, cute and nicely made!